This 32-piece brush range was created with the collaboration of Royal & Langnickels' 70 year brush making expertise and Emmy Award-winning makeup artist Kevin James. The brush heads are made of DuPont™Natrafil© fibers which mimic the performance and feel of the finest natural hair. 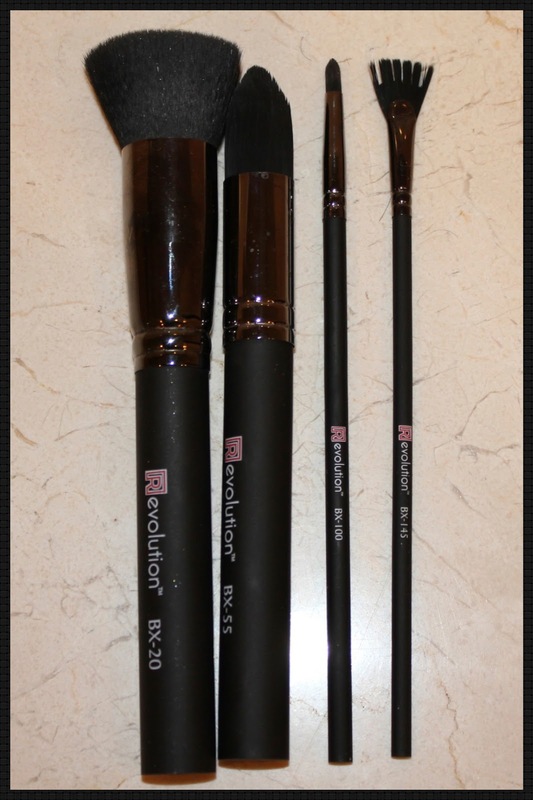 I didn't purchase all of the brushes from the line just the four above. I had already purchased another Set from another company made from DuPont™Natrafil© fibers as well. I wanted to try these out first and decide if I wanted to add more to my kit. I am very pleased with these brushes. I use the BX-20 to blend my contour colors under the cheek and around the forehead. The BX-55 is used for precision placement and blending of foundation or concealer. The BX-100 is one of my favorites. I use this with my MAKE UP FOR EVER Aqua Cream Shadows to blend eye liner. The BX-145 I haven't tested out yet but I think I would be good to comb false lashes into real lashes with mascara to blend. P.S. I apologize for the delay of post on HAUTE - HOT, I have more to share I just need to photograph them. Enjoy!